While buying a vehicle, most people forget to keep the weather in mind. For example, in the winter you need a car that you can trust to be stable on icy roads. You need a car that is comfortable despite the extreme cold outside and a car that has enough safety mechanisms that you keep safe despite any mishaps. At the same time, the car also needs to have good performance, the latest technology, great fuel efficiency, and a comfortable interior. There are two cars that fit this description and we have compared them for you. The 2018 Chevy Equinox and the 2018 Buick Encore. Many of you may be confused between the two SUVs. To help you with your decision and showcase which of the two cars is superior, we present to you 2018 Chevy Equinox VS 2018 Buick Encore. 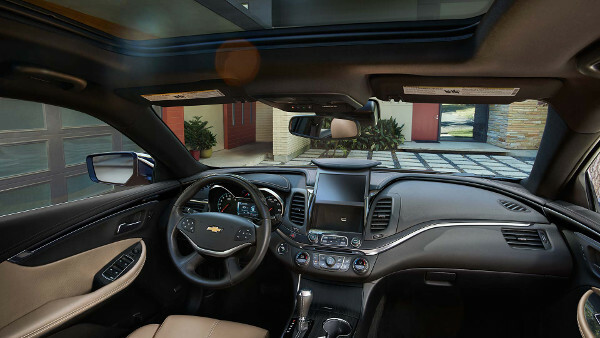 Stylish to look at from the outside as well as on the inside, the dual tone leather seats add to the charisma of the 2018 Chevy Equinox. Perfect for every type of weather, this SUV has heated and cooled seats. Though the cargo space is quite big itself, it does not compromise the space of the rear seat passengers. In fact, the split-folding rear allows you to increase the cargo space if required. Though the Buick 2018 does have some of these features, it lacks the dual tone leather seats as well as the cooled seating making it less appropriate for year around use. Though the 2018 Buick Encore does try its best, its acceleration comes across as choppy and uneven. In comparison, the nimble, swift movement of the 2018 Chevy Equinox is a treat. The 1.5L turbo engine is a powerful piece of technology and allows you to glide through town with easy acceleration and smooth handling. The 2018 Chevy Equinox proves that it is possible to have a car that has looks and substance. The technology of this SUV is a testament to the genius of its engineers. To begin with, it has ten mechanisms just for your safety. The surround vision, Safety Alert seat, Intellibeams, stolen vehicle assistance, crisis assist, emergency services, are just a few of its safety technology. It even has something for your children, a teen driver technology that assists new drivers. This technology includes systems such as side blind zone alert, low speed forward automatic braking and forward collision alert making this vehicle the safest vehicle to drive at any age in any type of weather. Once again, while the 2018 Buick Encore does offer a few of these safety mechanisms, it simply cannot compete with the other SUV, thus losing another round of 2018 Chevy Equinox VS 2018 Buick Encore. Even here, the 2018 Buick Encore is thoroughly trounced by the Equinox. Despite its 33 mpg highway mileage, it is nowhere near the astonishing 39-mpg highway mileage of the 2018 Chevy Equinox. This mileage proves the fuel efficiency and the overall superiority of the 2018 Chevy. To ensure that you receive the best services, Mike Anderson Merriville offers a number of specials on new and >a href=”https://www.mikeandersonchevymerrillville.com/used-vehicles/pre-owned-vehicle-specials/”>pre-owned cars, services and parts. We have great incentives, coupons and amazing offers that help you save a ton of money on every service that we at Mike Anderson offer. To ensure that you are able to buy the car that you want, Mike Anderson Merrillville has multiple financing options available for you. We provide extensive information on the cost of purchasing or leasing a vehicle and even help you get pre-approved for financial assistance if you require them. Even if you have a low or no credit score, we have solutions for you. We have your best interests at heart. We at Mike Anderson believe serving you with honesty and providing the best rates so that you don’t feel duped or regretful at any point. Our exclusive offers and high discounts beat that of all our competitors. To make things extremely easy for you, we provide financing options, wonderful specials, and an excellent customer service.